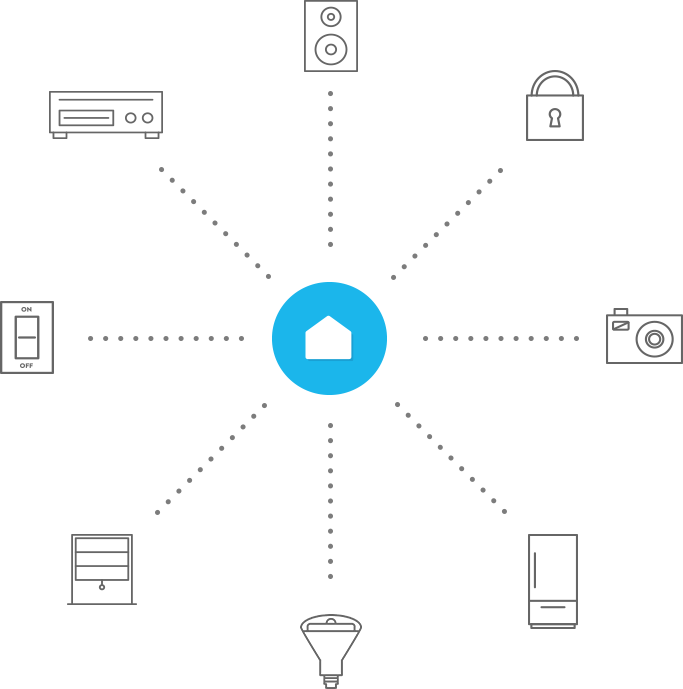 The process of creating and setting up a smart home isn’t exactly simple, as there are a number of steps that must be taken based on various aspects. Most times, it is best if you use the help of an expert/consultant. Also, it is good to have the timely advice of experience, even at some additional cost. Having a consultant to help out with your home automation goes a long way in simplifying the process, as well as reducing the margin of error. Most people in India are unaware about the convenience offered by smart DIY (plug and play) devices. However, even though this is a relatively simplified approach towards Smart homes, there are certain technical aspects that need the expertise of consultants and technicians. Does he/she deal in various devices, or just one brand? As a prospective smart homeowner, you must take particular care in this area, because variety of options is all-important. There are some consultants who work under an existing bias when it comes to brands. This is something that we at SmartHome NX strive to do differently, bringing you a range of options for each product choice, thus helping you make the most informed decision. What is his/her area of consultation? You should be aware of whether a consultant specializes in commercial or residential automation, or both. It is essential that you stay away from those consultants who offer only commercial services, as they usually have close to no individual clients/customers, and do not offer much in way of post-sales service. Asking questions is the name of the game here. And for this you will have to do a bit of homework from your end, regarding the latest in home automation tech. This will aid you to gauge the technical competence of a consultant, by asking him/her questions on about current technology, and trends; which is something that any good smart home consultant is expected to be aware of. The essence of any good smart home consultant lies in the questions he/she asks you. In other words, a consultant should speak with you extensively about your current lifestyle, so as to better understand your automation needs, and even make informed suggestions. Always remember, a consultant who isn’t very inquisitive, will just be out to make sales, usually for some particular brand. What are his/her reputation and credibility like? You must be sure to extract a good amount of detail regarding the credibility of consultants before hiring one. After all, you do not want to be stuck with someone who isn’t competent where it really matters. In order to ensure that your money is in the right place, you should get as many customer references/testimonials as possible. How much does he/she charge? Most good consultants will charge you a fee for doing a consulting visit, as well as an additional charge for project execution. You must be smart about making your own interpretations regarding a consultant, and one of the best ways to do it is by looking at their charges. You don’t want someone who overcharges, but even those charging too little isn’t necessarily a good thing. Budget is quite a decisive factor when it comes to how your home automation project shapes up. Therefore, when you decide to begin creating your smart home, having a fixed amount of capital to work against, is very necessary. This will give you a good idea of your range of devices, in terms of affordability, as well as limitation. Ascertaining a structure for your home automation budget may not be the simplest task, as this requires a considerable amount of research in the various technologies available, as well as their salient features, prices, implications, etc. A simpler option would be to ask your consultant for his/her assistance in assigning a value to your smart home expectations. And that’s it! Having a good grasp on each of the above three aspects will ensure that you are well-prepared from your end, and can greatly elucidate your consultation experience. Now that you have a basic idea about smart home consultants, you are all set to begin your smart home project. As it so happens, we don’t scrub up too badly ourselves in the automation arena. Give us a call and we’ll be happy to guide you!